THE MARTINI CHRONICLES: Smoothie Packs for Busy Divas! Smoothie Packs for Busy Divas! The Problem - You are not getting your daily allotment of fruits and vegetables. You are super busy, and you habitually neglect to make fruits and vegetables a priority during breakfast and lunch. Sadly, you have come to the realization that an apple pie from McDonald's probably should not count as a fruit, even if you get two for $1. And the nutritional value of the lettuce and tomatoes from your Whopper is probably negated by the other ingredients. You need to do something...and you need to do it quickly...your skirt and blouses are getting a little too tight, and you refuse to buy a larger size...refuse! And you just made a bet with your girlfriends to see who is going to look the best in their swimsuit when you all head to St. Lucia at the end of April. Something's gotta give! The Solution - Substitute at least one meal per day with a fruit and vegetable smoothie. The Objective - To make a quick, healthy, and tasty smoothie in a short amount of time. 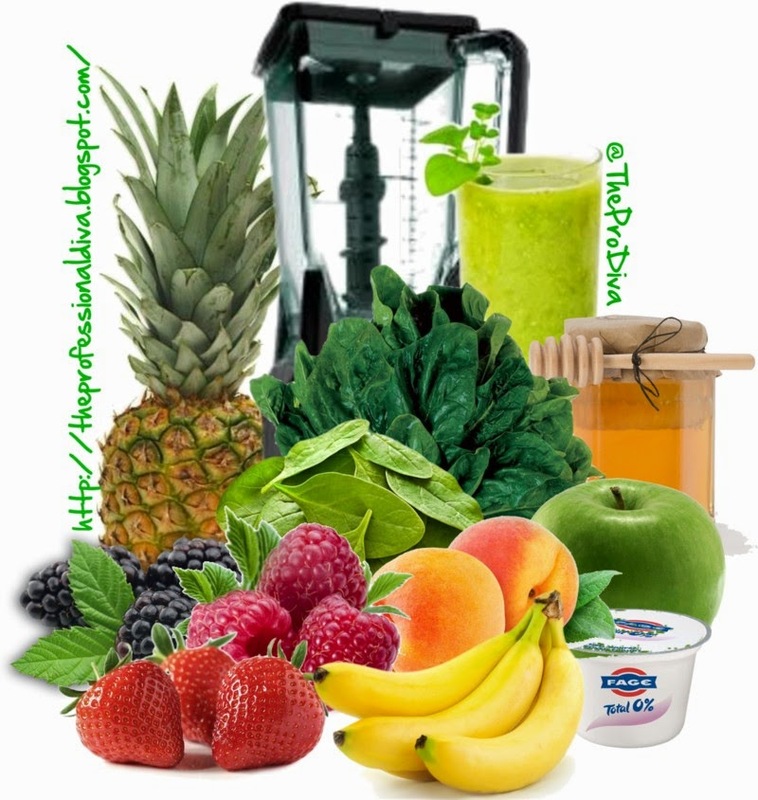 The Set Up - You need to gather fruits and vegetables, Greek yogurt, and other smoothie accouterments. You also need a blender and a really cute on-the-go sippy cup...because the ugly ones make for an unattractive smoothie :) ! - Head out to the supermarket or your local farmers' market and purchase strawberries, blueberries, blackberries, raspberries, peaches, pineapple, spinach, and kale. Also grab a box of plastic sandwich bags, single-serve containers of plain and/or vanilla-flavored Greek yogurt, your favorite fruit juice (I like V8 Fusion), your favorite dairy/soy product (I like vanilla-flavored soy milk), honey, and any other items you like to add to your smoothie (i.e. wheat germ, protein powder, etc.). - When you get home, properly wash all of your fruits and veggies. In a large bowl, combine all of your berries and mix. Slice and dice your peaches and pineapples, add them to the bowl, and mix. In a separate bowl, chop and combine spinach and kale leaves. - Grab your sandwich bags. Scoop about one cup of fruit and one cup of veggies in each bag and seal it (be sure to let as much air as possible out of the bag before sealing). Place bags into the freezer. The Execution - When you're ready for a smoothie, grab a fruit/veggie pack. Toss the contents into a blender with your choice of juice or dairy/soy product, yogurt, and other items and blend. Pour into your sippy cup and go! 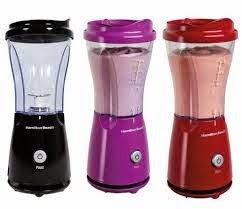 If You're A Smoothie Pro - If you intend to make your smoothie at the office, think about purchasing an on-the-go blender. I use the Hamilton Beach single-serve blender (pictured above), which I purchased for about $12. Before you leave the house for work, grab your bag of fruits and veggies and other smoothie accouterments. Throw them in an insulated lunch bag with an ice pack, and head out. When you get to the office, toss your lunch bag in a refrigerator (if possible). When you're ready for your smoothie, grab your blender and go at it. So, how many of you will try making smoothie packs? If you're game, let us all know your strategy and how it turns out!